Both at the global and Latin American scale, there are ongoing efforts to build collective libraries of geographic information. 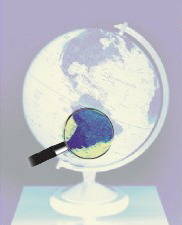 Such services (denoted as Clearinghouses) are essentially searching engines devoted to geographic data. In some way, they are similar to the very popular Yahoo!, Altavista, Google, etc. The spatial character of the information handled poses special requirements on the searching engines, explaining why the information should be catalogued using special formats and conventions in order to be properly processed. In addition, geographic data is international by its very nature, so there are additional interoperability requirements beyond the working language of its authors. TheDigitalMap Ltda. offers consultancy regarding the setting up of Clearinghouses, based upon the experience of its members, which have been behind the first operative spanish-language Clearinghouse for geographic metadata in the world.